On this website you can trace bulk SMS sender with exact location on google map. Ever received a SMS from a stranger? Or from a strange number? Spam SMS? In this age of Telemarketing boom, each one of us is a victim of bulk SMS. But, not to worry, mobilenumbertrackr.com tells you who sent the message and helps you block them to keep your inbox clean and safe. Bulk Sms are considerably cheaper than regular sms. Additionally, Bulk Sms are also considerably cheaper than other methods of mass communications like regular mail and much more efficient than email marketing. Do you want to trace bulk SMS sender? 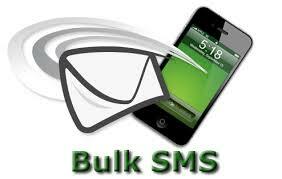 Or Looking for Bulk SMS service in India? Or do you need information on Bulk SMS code? You are at the right spot. MobileNumberTrackr.com has everything at one place. We all know how the telecom network in India is growing lightning fast. Most of us receive number of SMS from the BULK SMS sending companies in India. And any and everyone who wishes to contact their customers in a mass manner. Each bulk SMS sending company has first two digits unique. MobileNumberTrackr.com helps you to find the details of bulk SMS sender. You need to enter the first two digit and then the rest of the code and you will get the details like from which state they are sending you messages, city, district, Service provider or the operator. Bulk SMS tracker shows you the operator and its state. First two digits are very important in this trace process. First digit is the Operator or the service provider. For example, if the first code is A, then it is Airtel. If the first code is B, then it is BSNL and so on. Below is the list of service providers in India. Now, it’s time to find out the state. Second code indicates State of India. For example, If the second code is A, then it is Andhra Pradesh and so on. The third and most significant thing is category. Yes, what is the type of organization that sends you messages? If the first digit after ‘-‘sign is 2, then it is ‘Real Estate’. It means these messages are being sent by a real estate company. The rest of the code should probably tell you the name of the company.